Incredible Price Improvement by $100K! Just 1 block from the Riverside school and situated on a beautiful .56 ACRE LOT within a private cul-de-sac! Immaculately kept and tastefully remodeled 4BR, 2.5BA, 2-car garage and full basement home with more than $150K in recent upgrades! A cozy front porch with room to enjoy the vibrant landscaping and front yard. The bright foyer invites you in and opens up to the expansive living room with a bay window and vaulted ceiling. Adjacent dining room offers access to the new deck which overlooks an incredible back yard and mature trees. 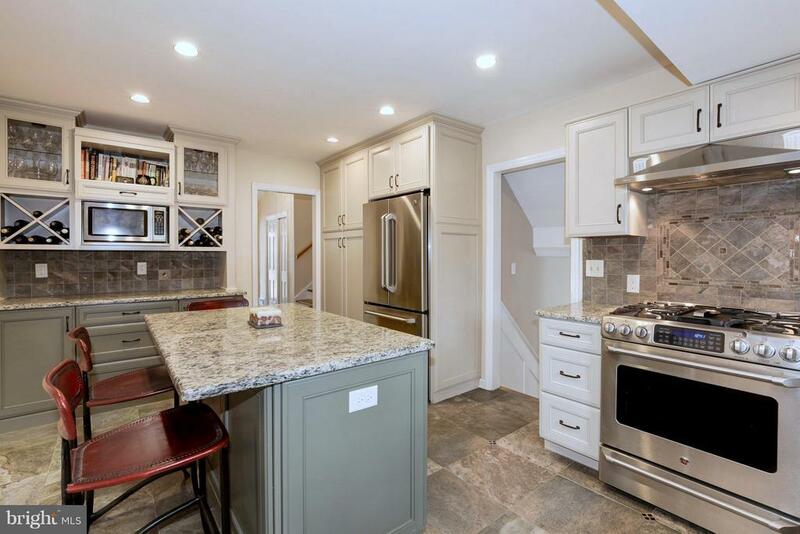 Gourmet, completely remodeled kitchen features granite counters, elegant pastel cabinetry, a center island with storage, window, and stainless steel appliances. Down a few steps is an updated entertainment room which offers a center gas fireplace with custom mantle, sliding door access to the lush backyard, pantry, entry to the garage and basement as well as a tastefully remodeled powder room (marble vanity, beautiful tile and fixtures). From the foyer, a few steps up is the upper level which includes a spacious master suite with walk-in closet and a renovated, spa-like master bath (marble vanity, beautiful tilework, stand-up glass shower enclosure, and sleek fixtures). Three additional bedrooms and a full bath complete the upper level. Gleaming hardwood flooring throughout. Updated lighting in the dining room, entertainment room and bathrooms! Freshly painted exterior and MORE! This gorgeous lot offers back-yard access to Riverside Drive for easy access to the Elementary School! Perfect opportunity to own a completely renovated villa in the desirable Riverside neighborhood of Princeton - just minutes to Downtown and Princeton Shopping Center!